The ratings agencies, which facilitated the 2008 financial disaster by rating subprime securities as grade A investments, have not been known for being out in front on warning of looming catastrophes. Now, however, with the Greek debt crisis raging, the ratings agencies are outdoing each other in releasing their downgrades. Moody’s is back with a downgrade on Greece, lowering it three levels to CA, just slight above an actual debt default. French President Nicolas Sarkozy and German Chancellor Angela Merkel have hashed out an agreement for a second bailout for debt-ridden Greece. They now have to convince their Eurozone partners to sign onto the agreement. An initial draft from the Eurozone summit in Brussels was vague and opaque, making no mention of numbers. But earlier reports hinted that the second bailout package would match in size the first one, which was in the range of approximately $150 billion in U.S. currency. Already, stock markets are rising on news of this second Greek bailout package, and the wonderful clique of European politicians who boast that they finally, for certain this time, have the answer that will prevent the contagion from the Greek debt crisis from spreading. With ambiguity surrounding the final version 2 of the Greek bailout package, there has been speculation as to whether or not private banks holding Greek sovereign debt will be asked to take a haircut. The massive exposure that German and French banks have regarding Greek debt suggests that anything involving a loss by private investors will risk an implosion of the European banking system. However, as public taxpayers in Europe take on an ever increasing load of debt to, in effect, bailout the private banks holding Greek, Irish and Portuguese debt, that in itself risks a further spread of what is now a virulent European debt crisis. Any doubt that the Eurozone debt crisis is no longer contained, but has now metastasized into a full-blown global calamity, is rapidly being erased by fast-moving events. With the second bailout of insolvent Greece in the works, followed by a ratings downgrade to junk by Standard & Poor’s, Moody’s has now weighed in with a double whammy. Ireland’s sovereign debt has been downgraded to junk status, with a clear signal that the marketplace expects the Irish Republic to require a second bailout package, as was the case with Greece. Moody’s has now followed up on its action regarding Ireland with a warning that for the first time in its history, the AAA rating on U.S. government debt is under review for a possible downgrade. This inauspicious development is in connection with the political dysfunctionality that has afflicted Washington policymakers in both the executive and legislative branches over extending the national debt limit. With ratings collapsing and bond spreads widening throughout the developed world, it now appears that another member of the infamous PIIGS nations (Portugal, Ireland, Italy, Greece and Spain) is descending into fiscal anarchy. Italy is on the verge of requiring a bailout of its own, one which would exceed what has already been allocated to Greece, Ireland and Portugal. In desperation, the Italian senate has voted in favor of austerity measures. Based on the failure of the austerity measures in Greece to prevent a second bailout being required, the desperate action by Italian decision makers is unlikely to work, and has the look of panic rather than thoughtfulness. 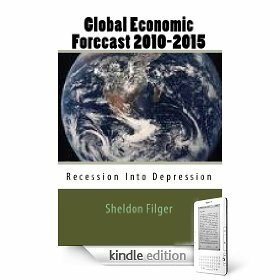 Like a tsunami wave that can travel thousands of miles from the epicenter of a major seismic event, the cascading sovereign debt crisis, which had its origins in policy responses to the global financial implosion of 2008 and Greek debt crisis of 2010, is now ravaging public finances on both sides of the Atlantic. A point may soon be reached where private investors, Eurozone taxpayers and the IMF can no longer cobble together ever-larger “rescue packages,” all of which, with perverse logic, require even larger levels of public debt to construct. A dark truth may soon permeate this ballooning crisis; the policymakers have no real solutions, and have just about run out of gimmicks and short-term fixes. 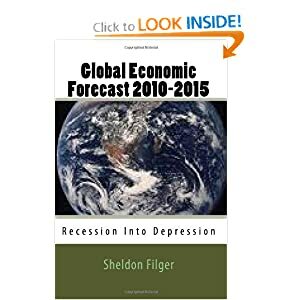 The global economic crisis that began with the financial collapse of 2008, far from being resolved or a clear path to recovery being underway, is entering a more dangerous phase, in which sovereign debt reaches the level of unsustainability. The result could very well be paralyzing insolvency among the advanced economies, which could destroy the economic future of an entire generation. Following of the wake of S&P’s warning of a default rating for Greece, another ratings agency has weighed in on the cascading European sovereign debt crisis. Moody’s has lowered its classification of Portugal’s sovereign debt to the level of junk. This comes despite a recent €78billion bailout from the IMF and EU, the equivalent of more than $111 billion in U.S. currency. The latest ratings moves by Moody’s and S&P illustrate the lack of confidence that private investors have in the machinations of European politicians and their friends at the IMF in resolving the growing European debt crisis. If anything, these bailouts piled on top of bailouts, all requiring vast amounts of borrowed money financed by European taxpayers, assure that the Eurozone debt disaster will only further metastasize. It won’t be long before Portugal, like Greece, requires a second bailout, and perhaps Ireland will follow soon. Ultimately, who bails out an increasingly indebted EU? S&P has weighed in on a bizarre scheme by the Eurozone crisis managers and French banks on supposedly enabling debt-stricken Greece to finance its insufferable fiscal burden. In the view of Standard & Poor’s, the French plan for banks to, in effect, roll-over private debt connected with the crisis will be seen by the ratings agency as an actual default. With virtually every sane economist and observer believing that Greece is already insolvent and will inevitably default on its sovereign debt, it appears that the ratings agencies are now joining the choir. All that are left are the EU and IMF spin-masters preaching the falsehood that the debt crisis in Greece will be resolved without a default. What is tragic is that massive amounts of European taxpayers’ money is being poured down a rat-hole for no good purpose. Just when things appeared they could not be more strange with the Dominique Strauss-Kahn case, they in fact get a lot stranger. First the managing director of the International Monetary Fund, one of the most powerful men in the world, is arrested for allegedly sexually assaulting a hotel maid. He is in fact indicted by a grand jury. But now, after the Manhattan district attorney previously boasted about his “solid” case against the recently disgraced and resigned head of the IMF, he is forced to inform the presiding judge and defense counsel that the supposed victim and only witness against Dominique Strauss-Kahn has, in fact, repeatedly told lies to the prosecution. The tough bail conditions imposed on Strauss-Kahn have already been lifted. While the charges have not been withdrawn, the consensus of legal opinion is that the case against the former head of the IMF has been fatally tarred by the revelation of lying by the hotel maid, and in all probability the charges will either be withdrawn or dismissed. The rumors are already rife as to the possibility that the whole affair was a set-up to destroy Strauss-Kahn. If this in fact was what occurred, was it to remove a potent opponent to French president Sarkozy in the upcoming national elections in France? Or, was the goal to bring about a change at the top of the IMF? And, was it only a coincidence that while this affair was raging, an unnamed nation-state hacked into the confidential data bases of the International Monetary Fund?